Let’s face it: Change in the work environment can be disruptive for people and processes. For example, a well-planned workspace reconfiguration—intended to achieve a positive end goal—is sometimes challenging for people to accept initially. We feel comfortable with our routines—sitting in the same place, talking to the same people next to us, with everything set up just the way we like it. But space transformation doesn’t have to be painful, especially when a change management process is implemented. 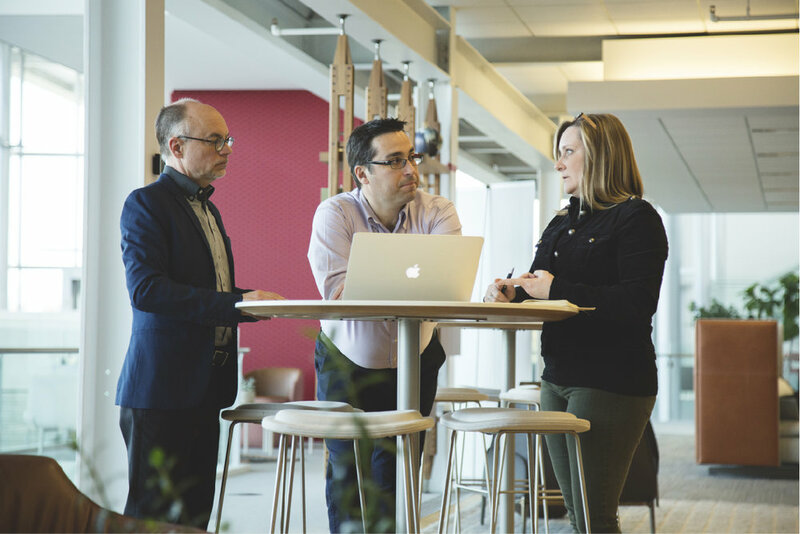 We know this well at Haworth, where we frequently reconfigure our floorplans to support new ways of working, especially at our corporate headquarters—a showroom and workplace that demonstrates our research in a living lab we share with customers. Involving team members through communication helped them understand the various process stages for the renovation, what space would be occupied, and where the groups would reside. When you implement a change management communication program, you can more easily manage employee engagement and adoption of new ways of working, along with the resulting workspace layout. Managing change in the workplace, like any successful project, requires a systematic process that guides, prepares, and enables individuals to quickly adopt new ideas to achieve desired business results. Companies that effectively manage change consistently outperform their competitors. Well managed workplace changes help individuals make a positive transition and result in achievement of organizational goals. People are creative and love to share ideas and solve problems. Providing events, meetings, and communication can help uncover their fears, frustrations, anger, or anxiety. A change management program offers opportunities to minimize these issues, find solutions that people agree upon, and connect teams to cultivate excitement about the change. Who knows what might happen? You may find employees offer new ideas for ways they can improve their own performance.